The burning of schools in Vuwani, Limpopo impact negatively on the right of children to access education and also effectively reversed all the gains already made in improving education. According to media, police and government reports, as of Sunday, 8 May 2016, 24 schools had been burnt and/or vandalised in Vuwani, Limpopo. This was allegedly done in protest of a High Court decision that threw out the community’s bid not to be moved into the new Malamulele municipality. These actions have been strongly condemned by most commentators, including political parties, trade unions, civil society, the State and on social media. 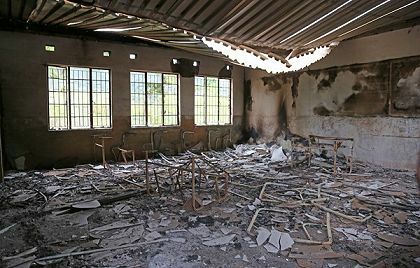 Included in the destructive fires that decimated school buildings were toilets, textbooks and furniture. All these things can be rebuilt and replaced in time using a large amount of money, but most critically the (immediate) futures of children and their families have been placed on hold and possibly damaged. This in a province that has been struggling to ensure that black pupils from historically (and currently) marginalised, rural and poor communities have an education that is on par with those in historically more advantaged areas. These schools are mainly located in the Bungeni, Vuwani, Vreboom, Masia and Mashau areas. According to the Department of Basic Education (DBE), 42 664 pupils have been affected by the forced closure of schools in the district. That is 42 664 pupils’ rights to basic education infringed. On Friday, 6 May 2016, a team from SECTION27 and Basic Education For All (BEFA) set off to Vuwani. We have been working in the province and district for several years trying to ensure that the right to education is realised through the provision of safe toilets, textbooks, furniture and better infrastructure to schools, so were anxious to see for ourselves how bad the damage was and to meet with community members, pupils and educators. Estimated costs for the reconstruction of the schools is north of a staggering R400 million, excluding contents, in other words this involves buildings only. To put this in perspective, the Limpopo Department of Education’s (LDoE) 2016/2017 budget that caters for the province’s 4 062 schools is R930 million. The rebuilding of these 24 schools would account for almost half (43 percent) of the budget if the LDoE does not get it from other line items. In the past three years, 16 classes, an administration block and a nutrition centre had been built. 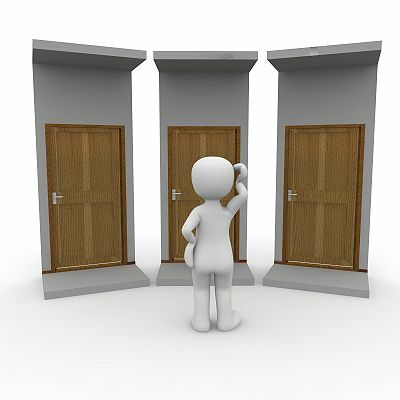 Its problems with furniture, water and infrastructure became a thing of the past. While challenges still existed in relation to sanitation (some toilets had been built at the bottom of a slope and are negatively affected during the rainy season), the school is on the province’s sanitation plan. 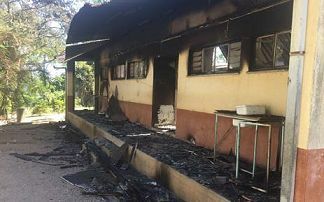 Last week, protestors vandalised the school and burnt a building to the ground. Years of work towards realising quality basic education for pupils, who were already playing catch-up, went up in smoke in an instant. However, it is important to note that not all the problems of the LDoE can be placed at the feet of protesting community members in Vuwani. According to Statistics South Africa, only about one in 10 (10.8 percent) of schools in Limpopo had access to a library, a quarter (25 percent) had an administration block, less than one in 10 (7.8 percent) had a laboratory and less than three-quarters (67.4 percent) have access to piped water prior to this tragedy. The LDoE further stated that the Council for Scientific and Industrial Research (CSIR) social audit on schools infrastructure in Limpopo found that there was a shortage of 6 217 classrooms in the province. Furthermore, according to the LDoE budget speech, the interim CSIR report highlighted that there was a shortage of 40 448 toilets, the vast majority (33 669) of which were pit latrines that need to be replaced. In addition, in the aftermath of the Supreme Court of Appeal’s December 2015 judgment in the Limpopo textbooks case, which found that every pupil has the right to their full complement of textbooks before the start of the school year, SECTION27 and BEFA have been monitoring textbooks delivery and sending reported shortages to the LDoE. Four years after the first textbooks case and three weeks into the second term of 2016, we have received over 17 000 reported textbooks shortages from three of the five districts in the province we have monitored. We will be visiting the remaining districts in the next couple of weeks. The case of Vhafamadzi Secondary School illustrates the point that problems did exist in Limpopo education. BEFA and SECTION27 have been working with the School Governing Body of the school to improve the infrastructure and sanitation since 2014. The school caters for 844 learners (416 boys and 428 girls). All 24 classrooms were dilapidated prior to the protests. There were dangerous cracks in classroom walls that were placing pupils and educators alike in danger and there was an urgent need for new classrooms. Only three of the classrooms survived the fire(s). Parents and community members also protected Avhatondwi Primary School. Sadly, arsonists burnt parts of it in the early hours of Saturday morning. It wasn’t because of a lack of trying on the part of the community. Leaders, including the Minister of Basic Education, Angie Motshekga, visited parts of Vuwani, highlighting the importance of quick, decisive, collective action. Similarly, throughout our visit, the South African Police Service was heavily present and very helpful. 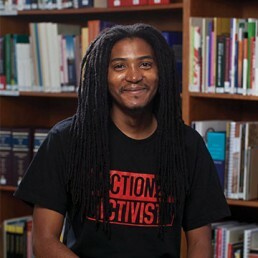 Ngqabutho N. Mpofu is the Communications Officer of SECTION27, a legal advocacy organization. This article first appeared in the Daily Maverick.